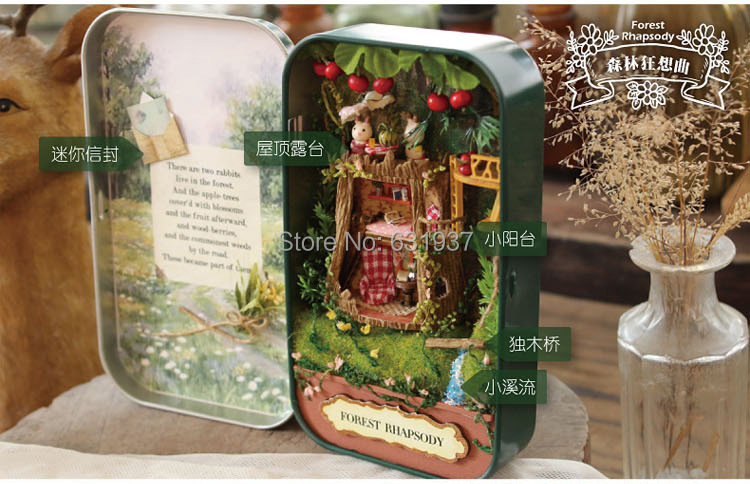 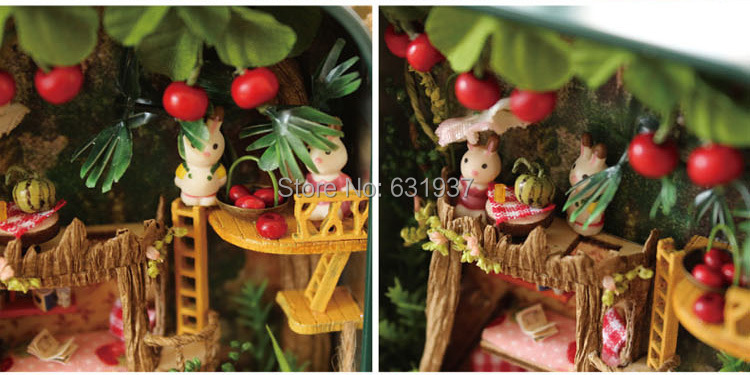 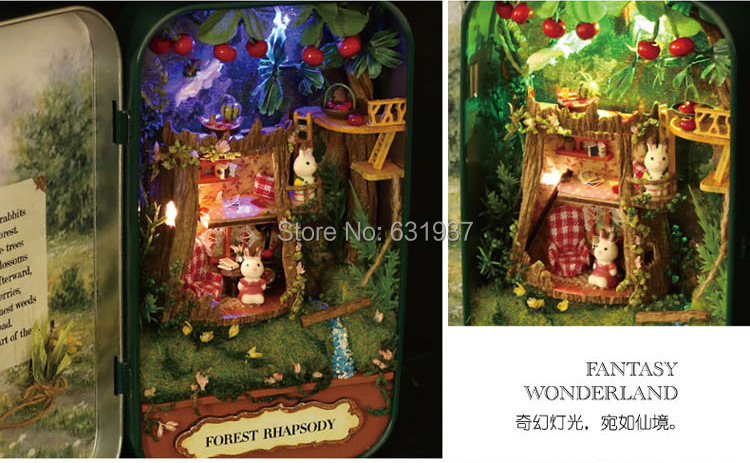 Diy miniature 3D Wooden Puzzle Furniture Doll House for kids. 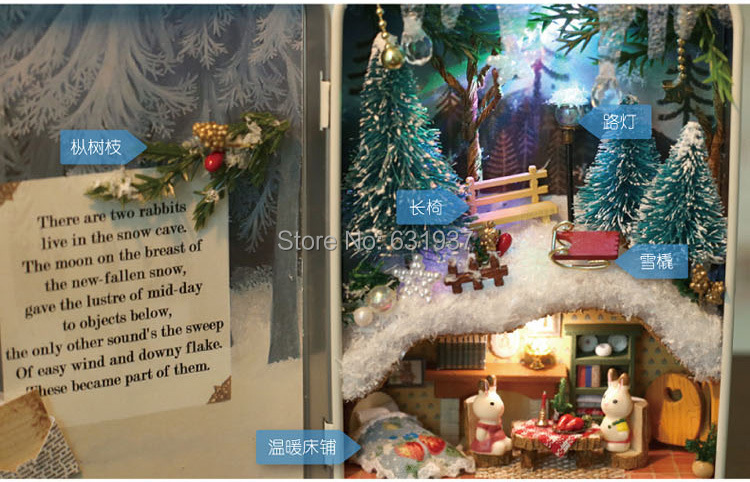 It is the doll house for the kids who love to play with dolls. 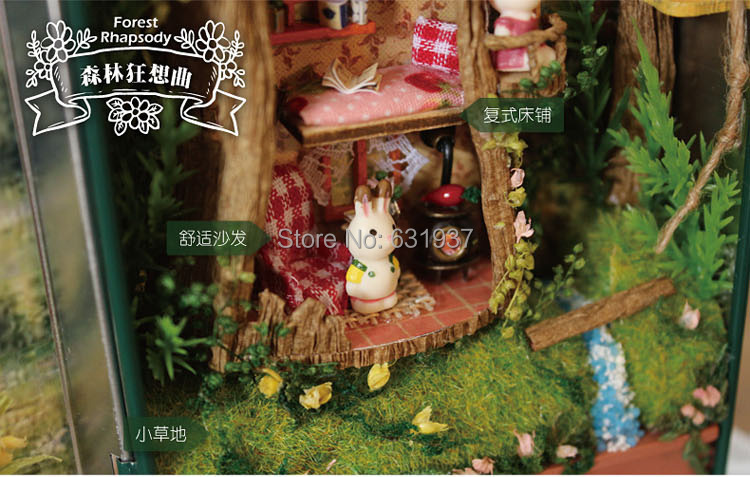 Cabin will build you do it yourself,the inside of the raw materials according to the material into several small package,can make complete points for several times,Narrowing of the house like a real house version,for example,Cabinet is made from wood, curtain cloth, books made of paper!Fully exercise your ability, and almost all things need you have made!Fun in the process of making! 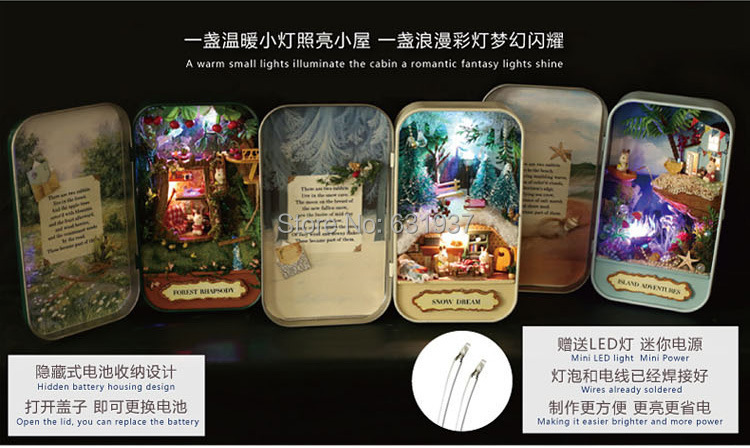 Information: 1, before the production can prepare a set of auxiliary tools, such as scissors, tweezers, knife and so on. 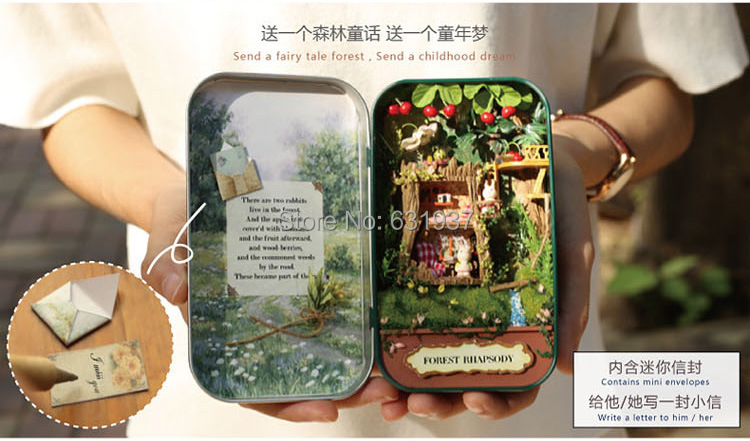 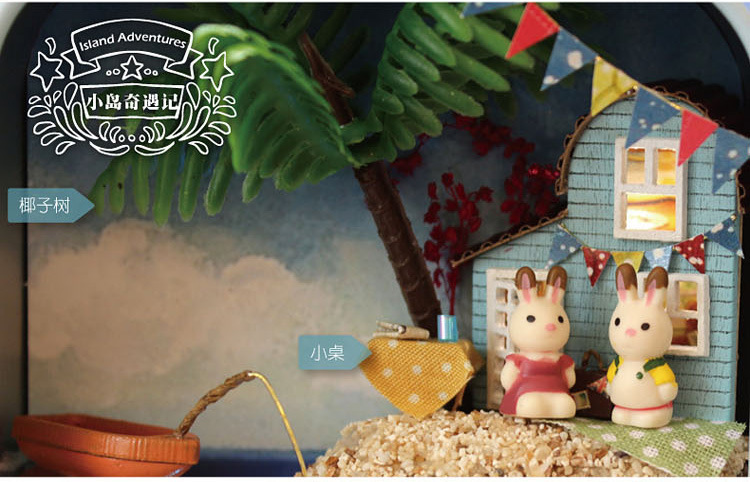 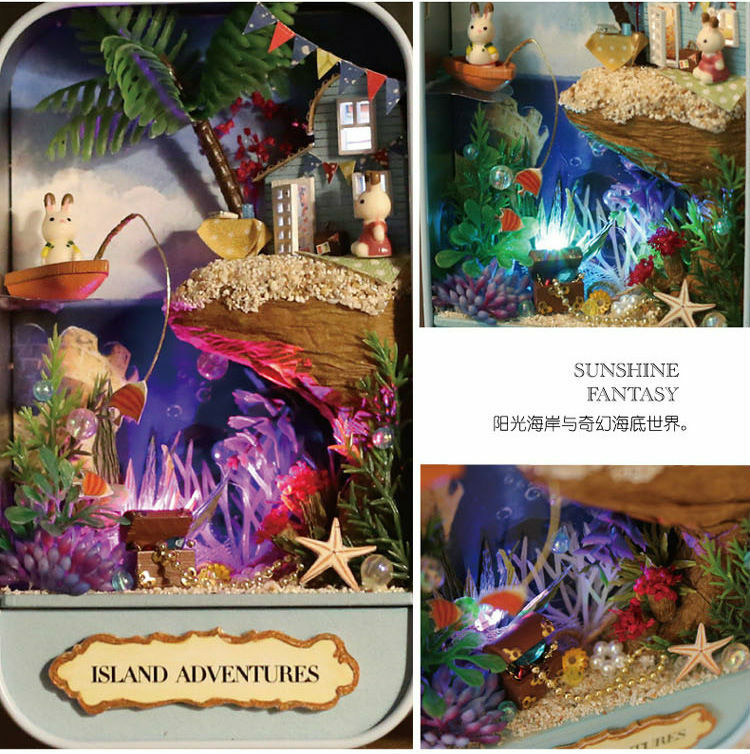 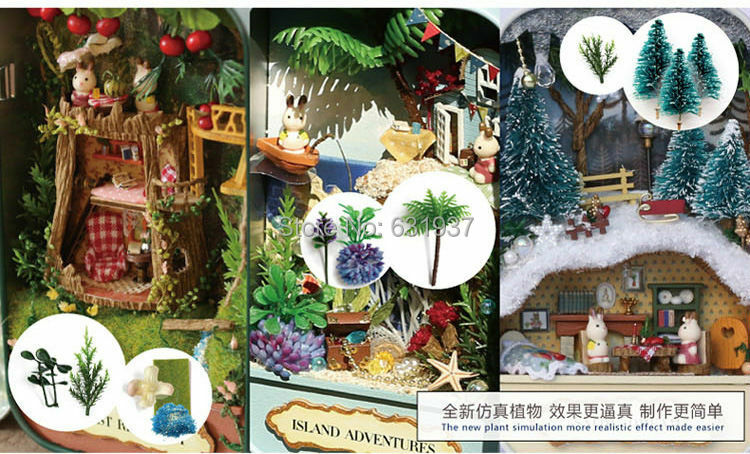 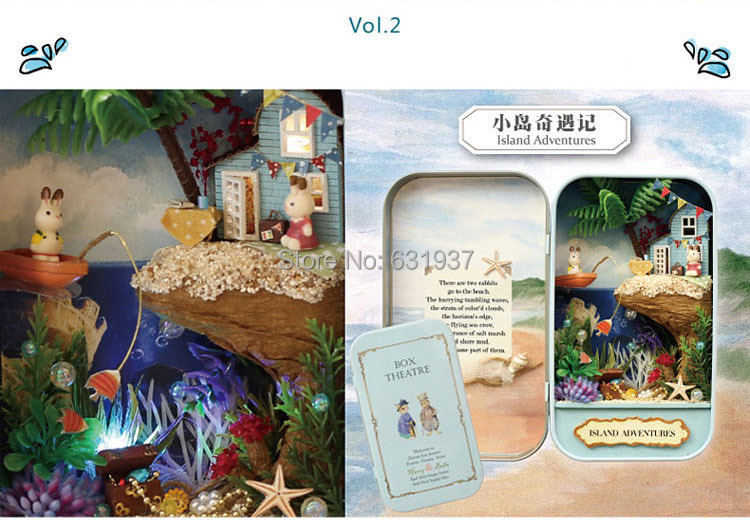 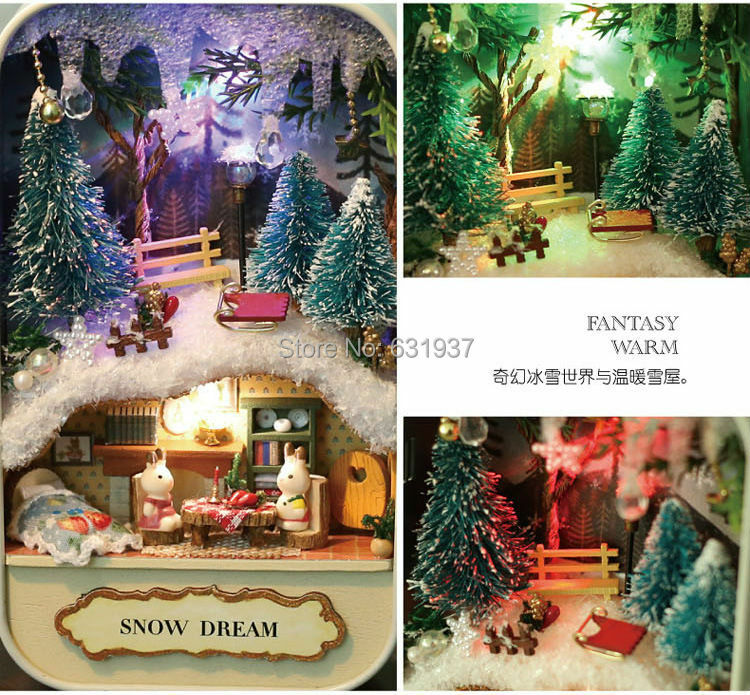 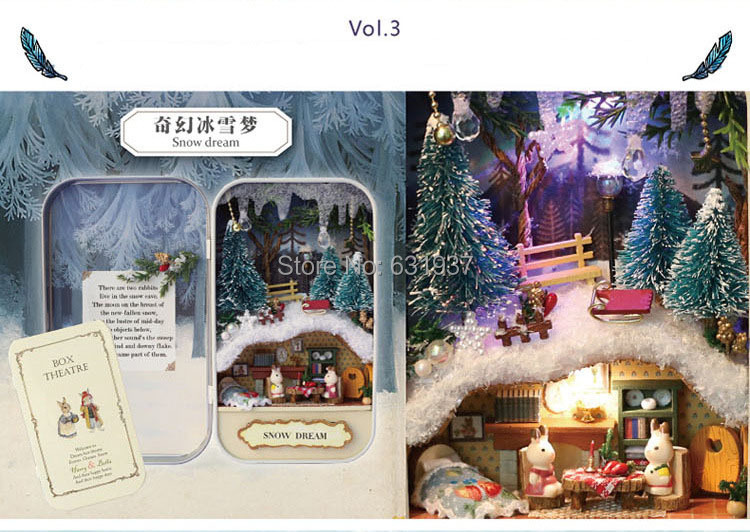 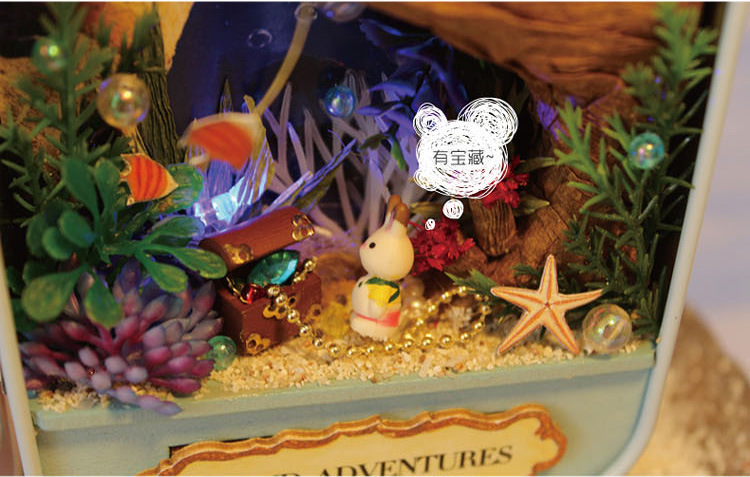 2, mainly through, paste, assembling, modelling, placement of DIY process, completed your lovely beautiful house. 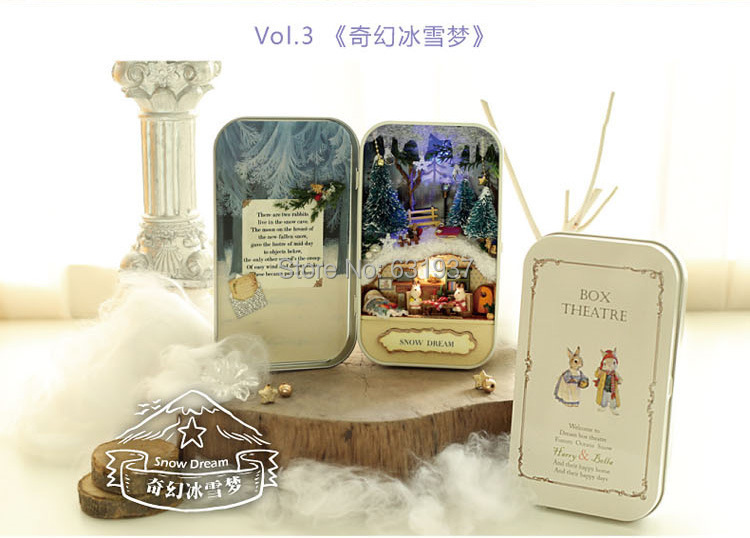 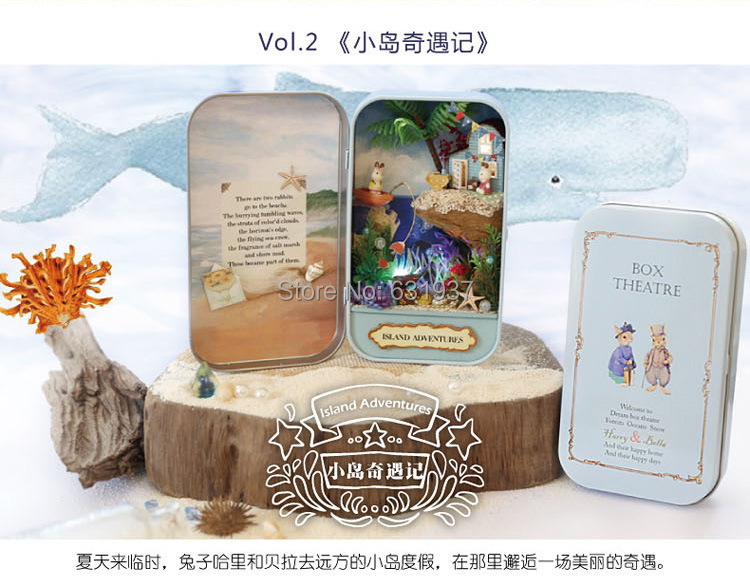 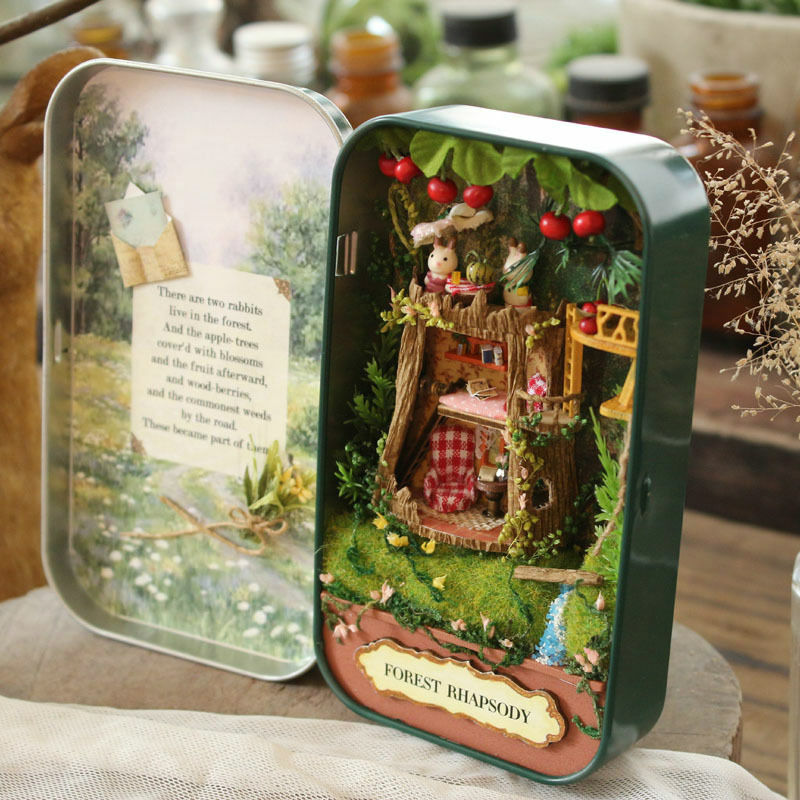 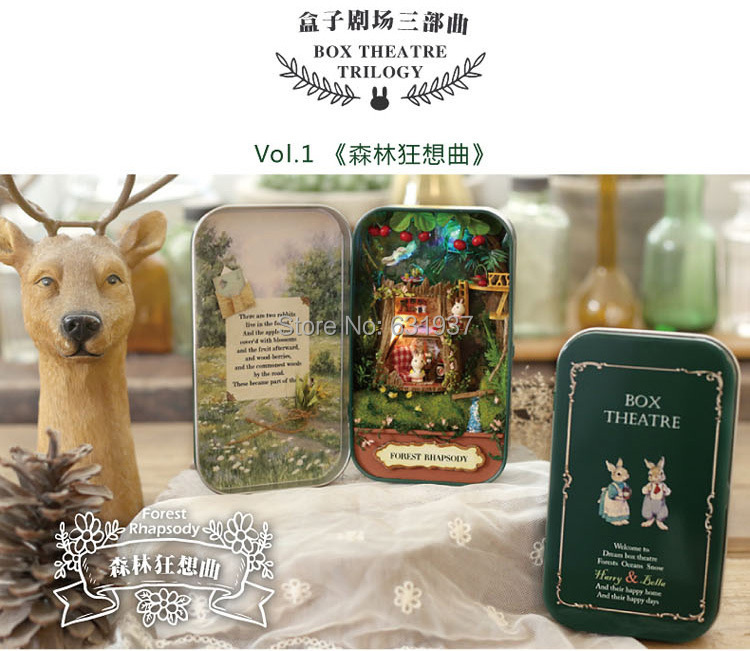 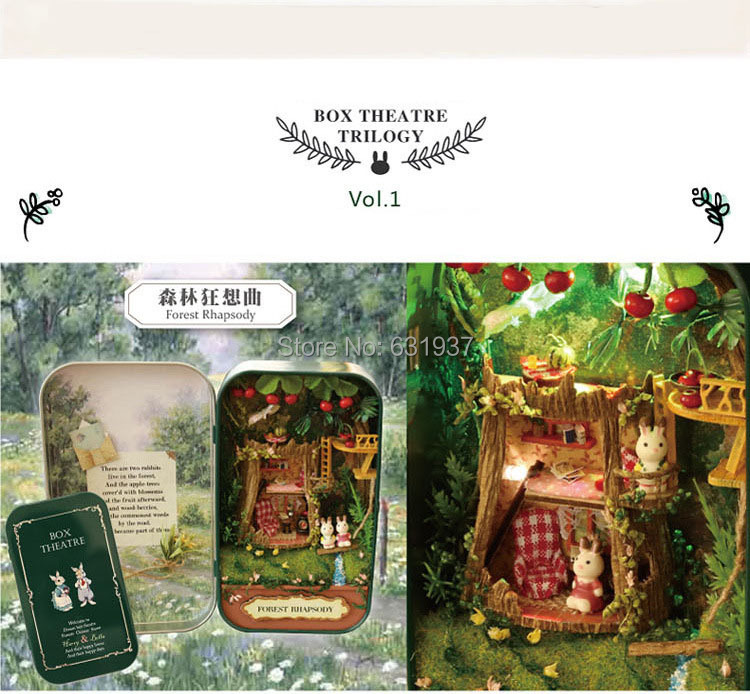 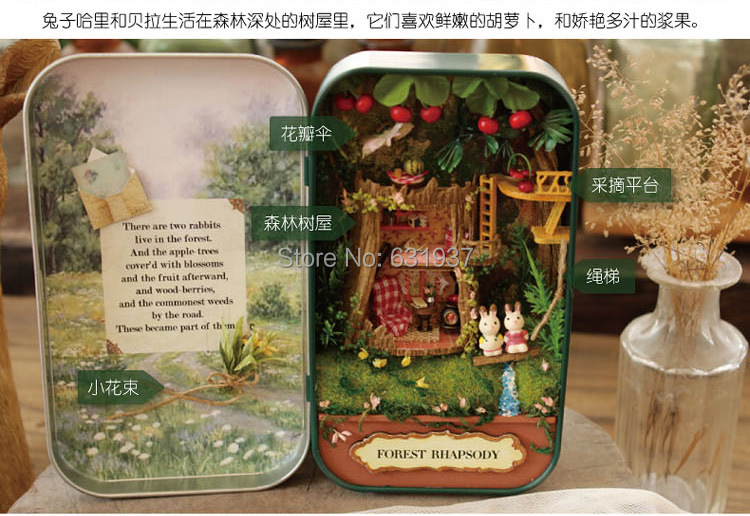 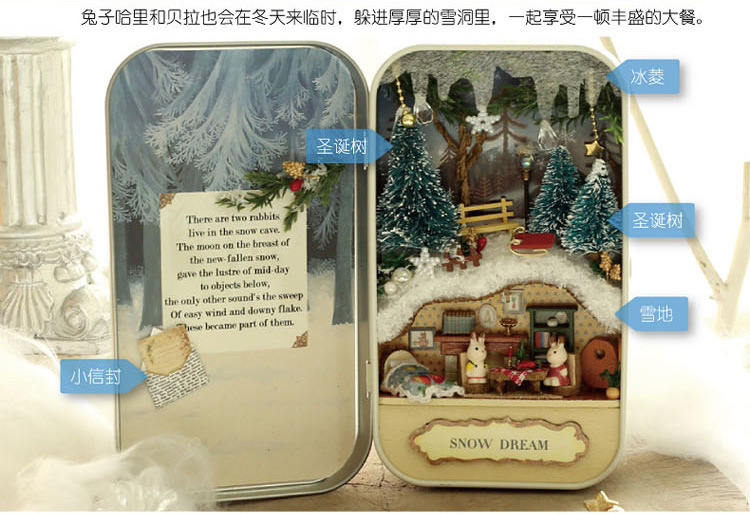 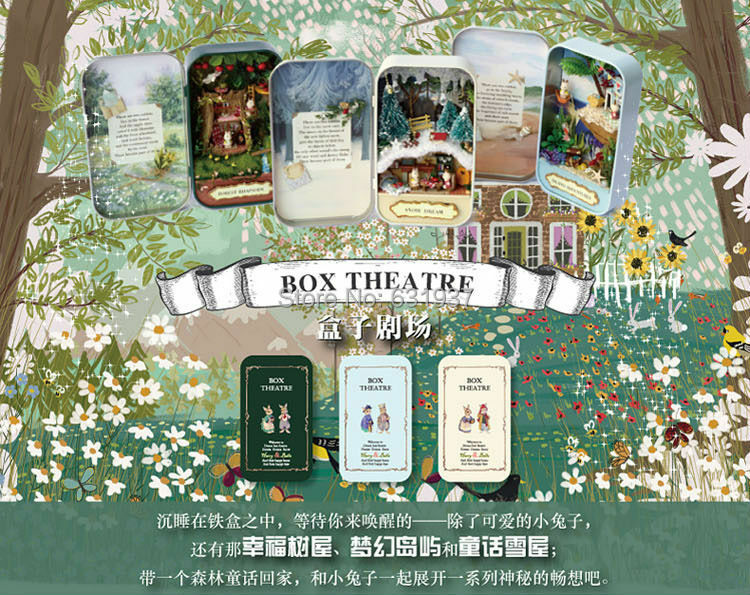 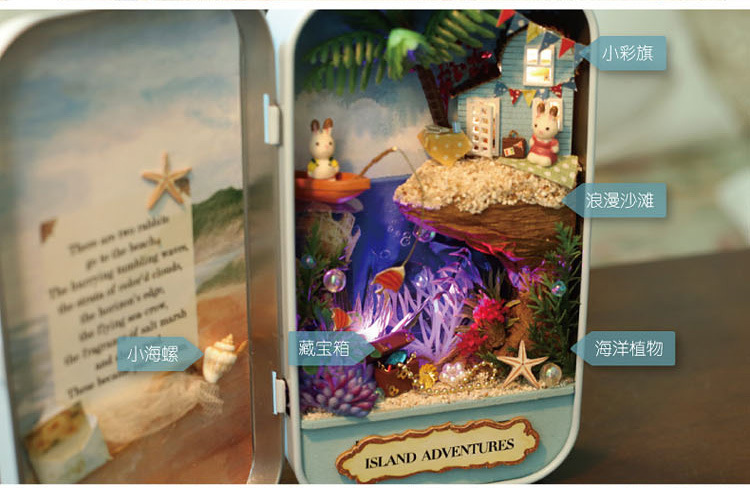 3,Suit a crowd: product is a Diy cabin material package, to make it by ourselves, is suitable for people over the age of 14. 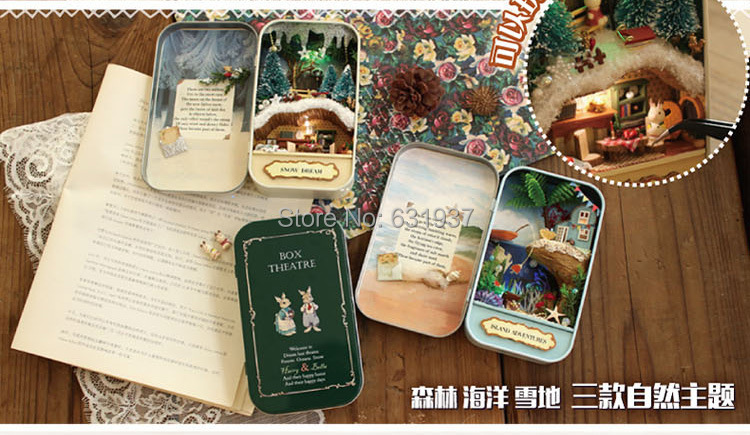 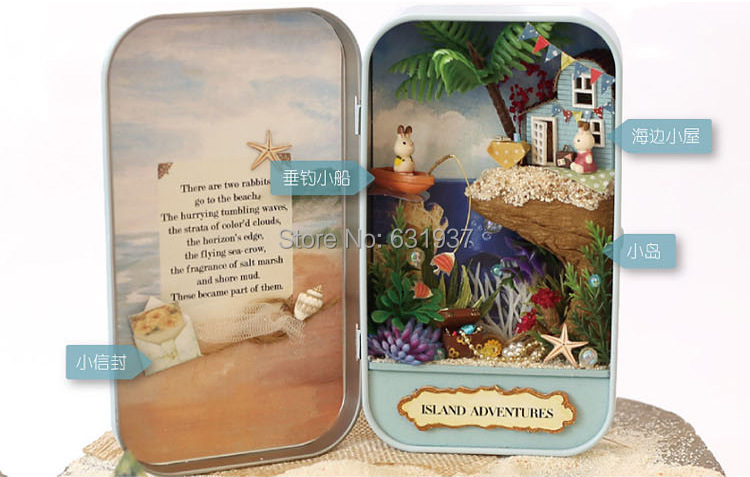 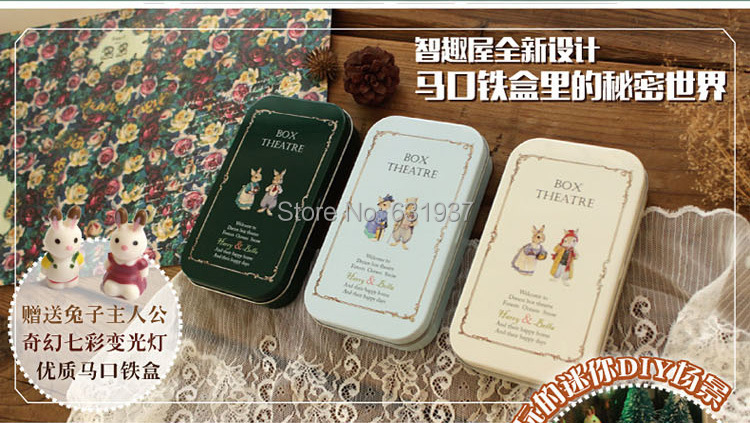 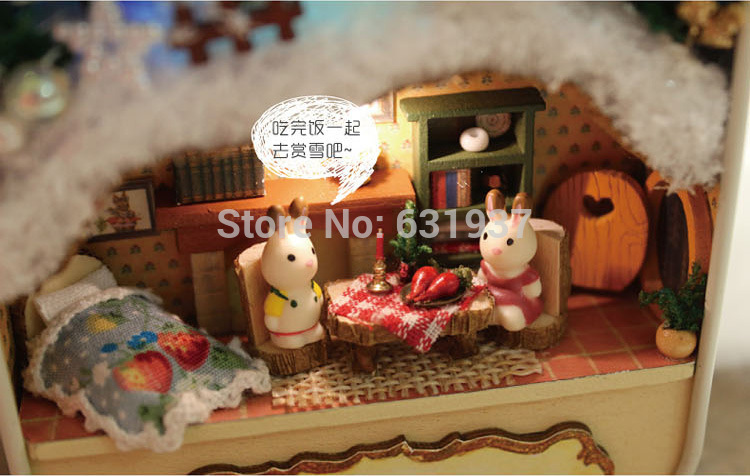 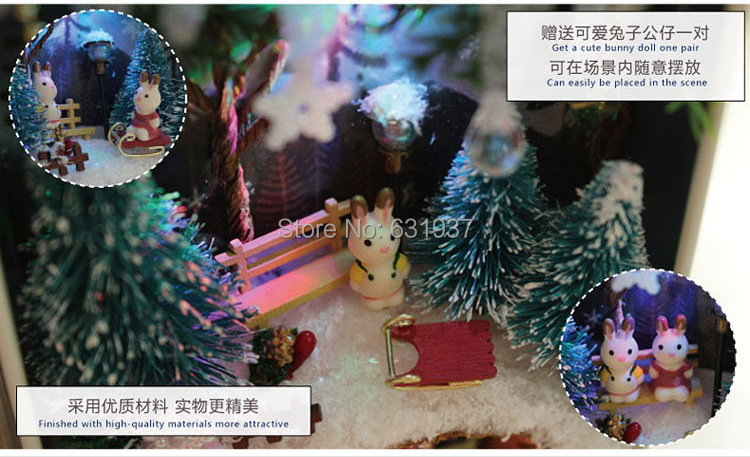 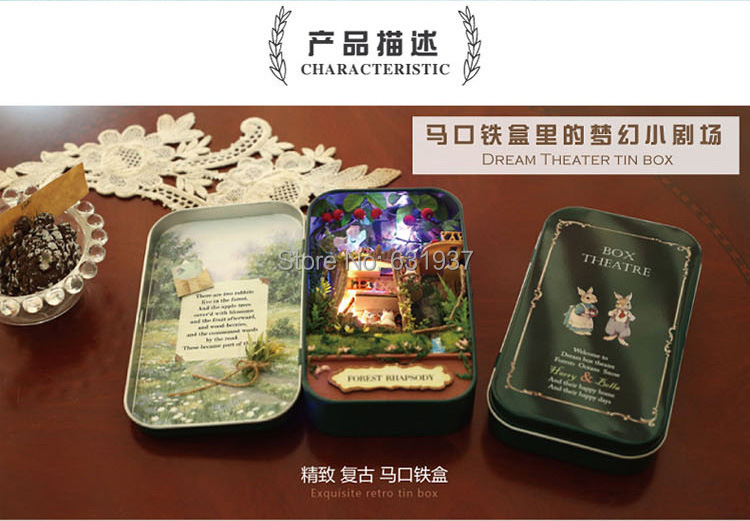 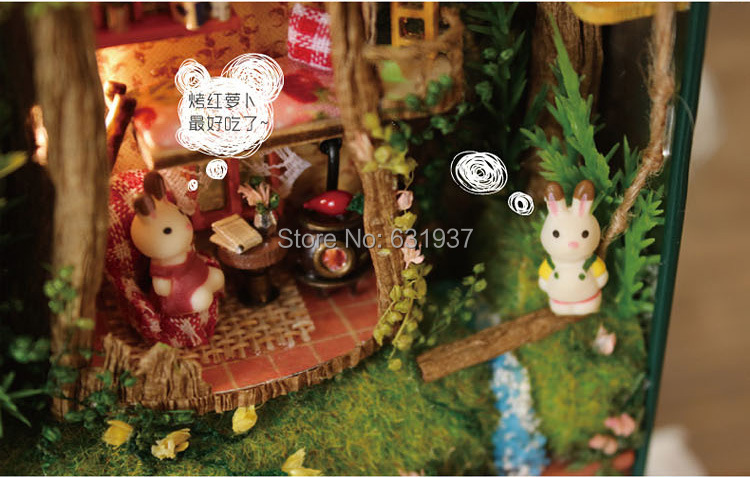 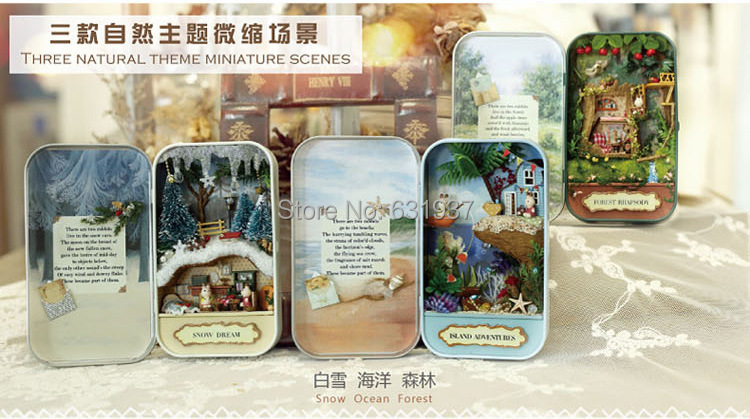 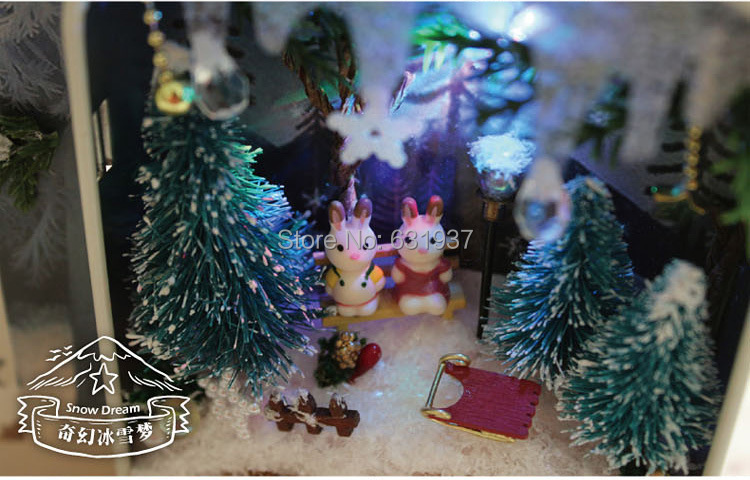 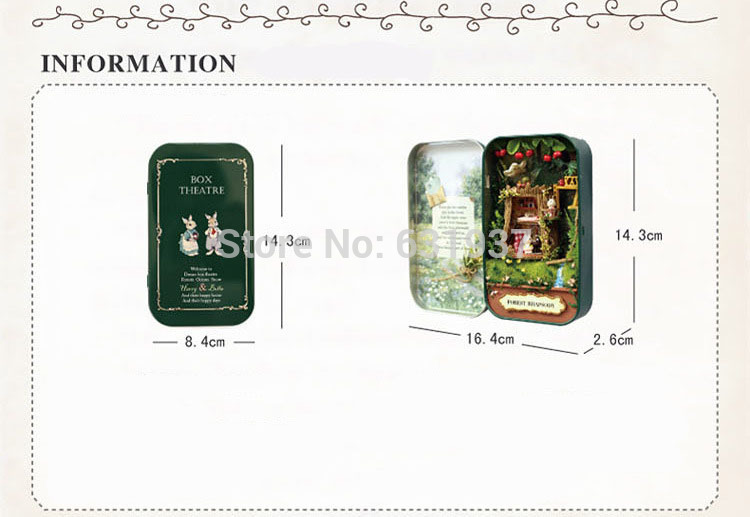 DIY Miniature Dollhouse Fluctuation Bed Accessories Sets for Mini Doll House toys for children.